When searching for a hotel in Bangkok, travelers are quickly overwhelmed by over 800 options spanning budget accommodations to exclusive resorts. 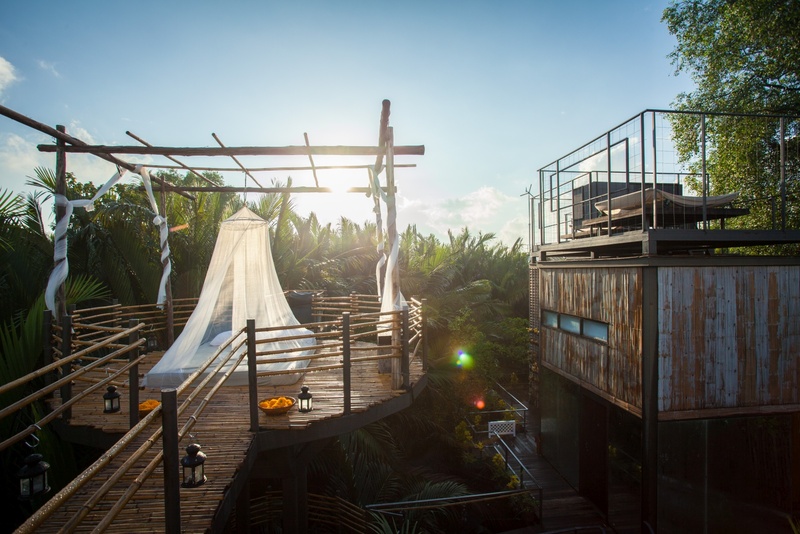 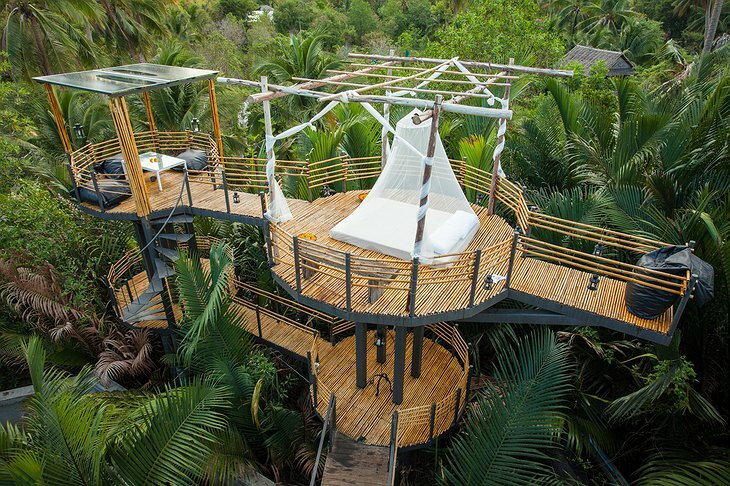 However, the Bangkok Tree House is truly in a class all its own as a masterpiece of eco-friendly sustainability. Far removed from the congestion and bustle of the downtown area, this eco-resort offers guests a completely different view of daily life amid the fruit plantations and marshland of Phra Pradaeng. 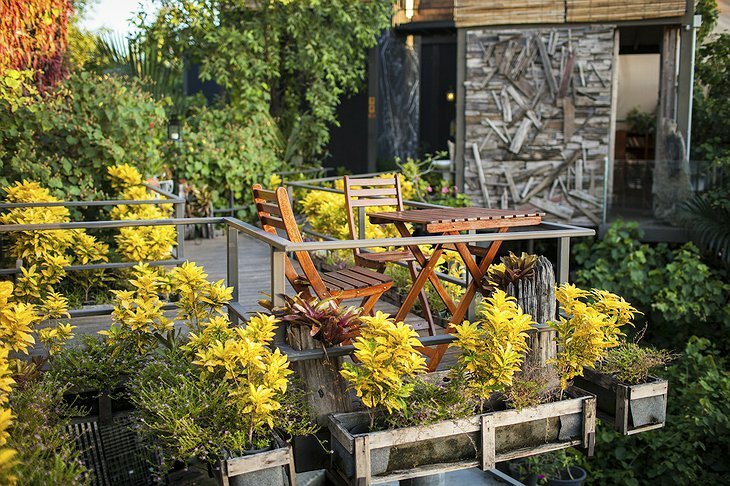 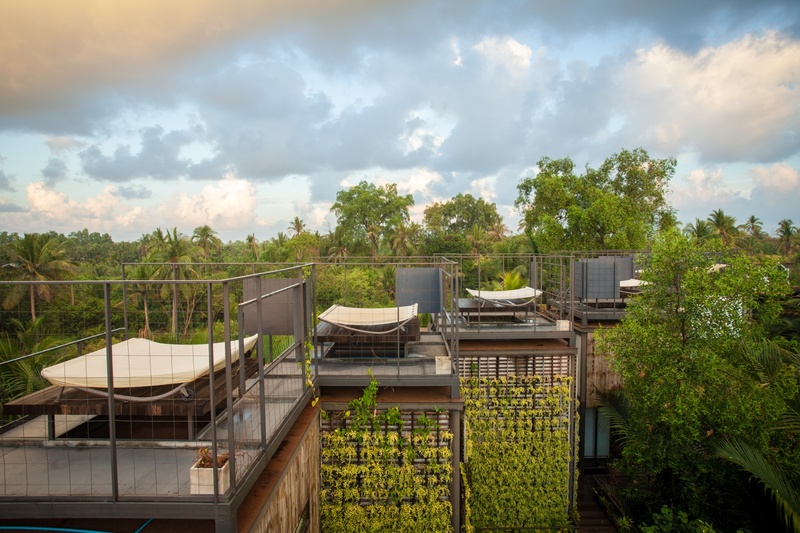 The lush vegetation and natural surroundings mimic the “green” lifestyle and policies of the owner. 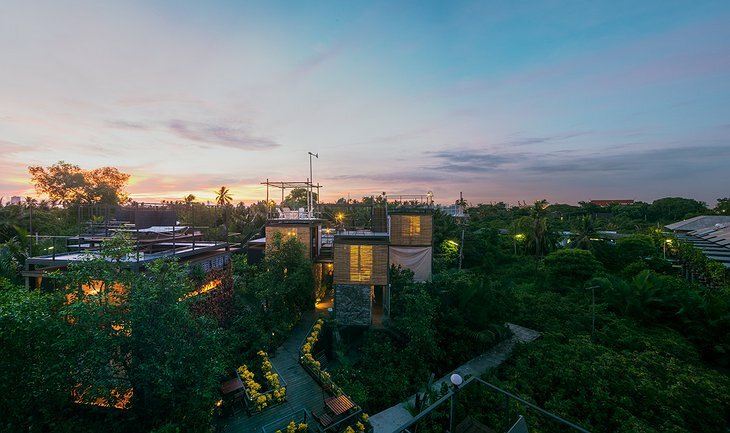 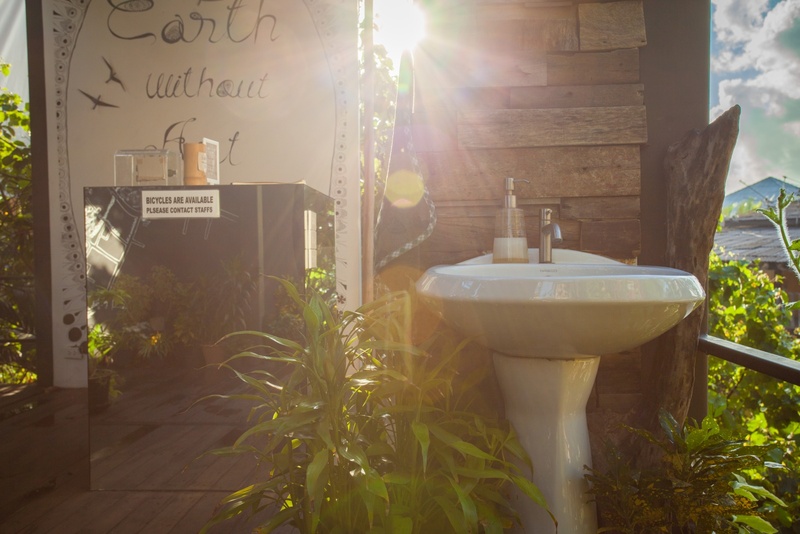 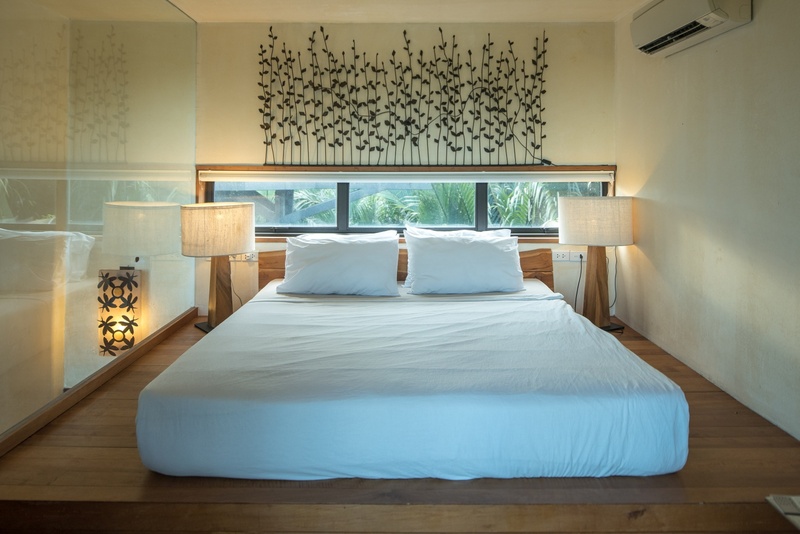 The entire hotel is carbon neutral using all natural energy sources, is supplied by collected rain water, utilizes recycled and reclaimed building materials, and even pledges to clean up one kilo of trash with each booking. 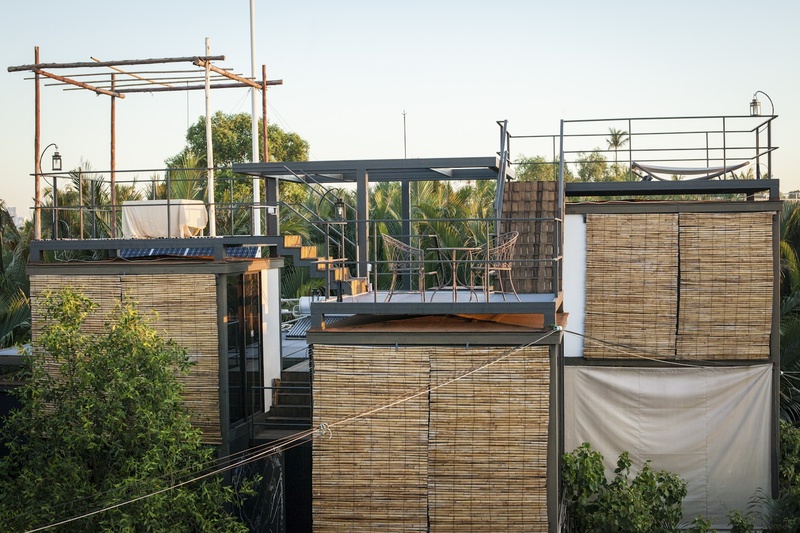 The twelve bungalows, or “nests”, are dispersed over three levels with roof top access and breathtaking views. 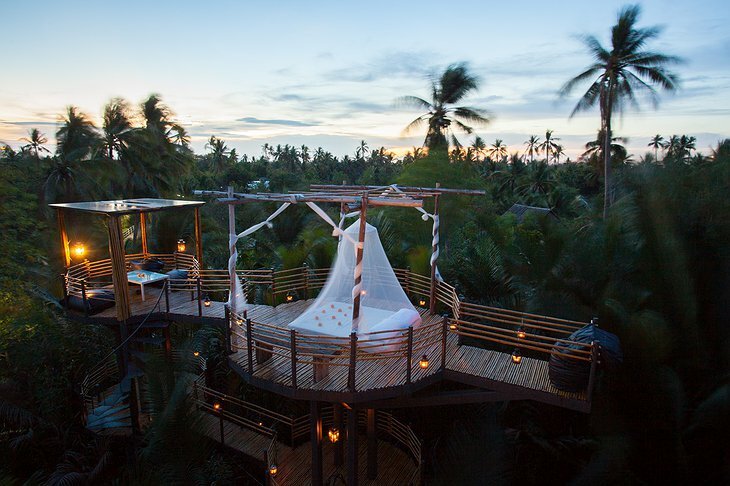 You also have the choice of a few very non-conventional rooms, including the open air room that allows guests to sleep in the canopy beneath the stars or the room that is literally on the river. 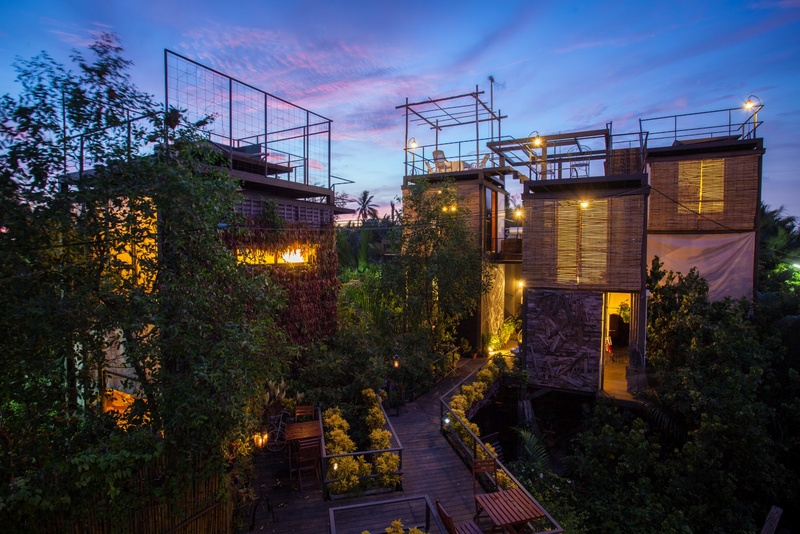 The hotels maintains its seclusion due to lack of road access, however, guests can borrow bicycles to meander through the surrounding village, visit nearby temples, or explore the popular Bang Nampheung floating market. 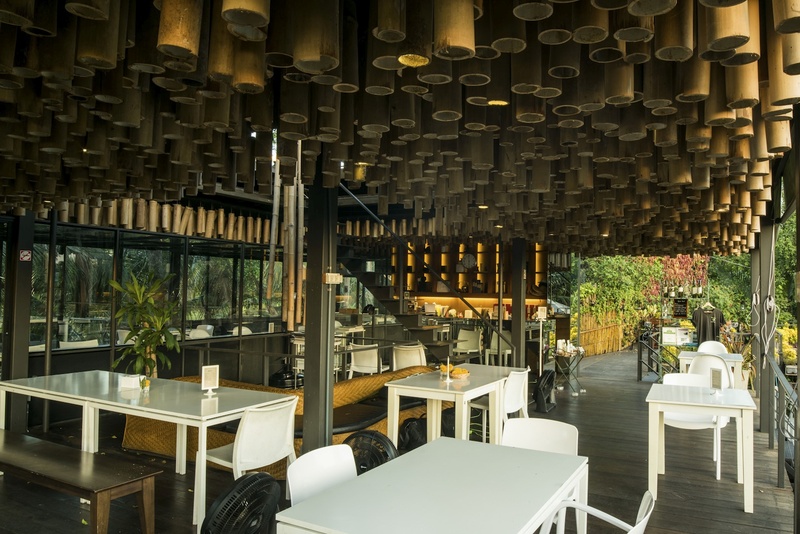 You can also enjoy a fully organic meal at the restaurant on site with three dining options: Thai, seafood, and vegan. 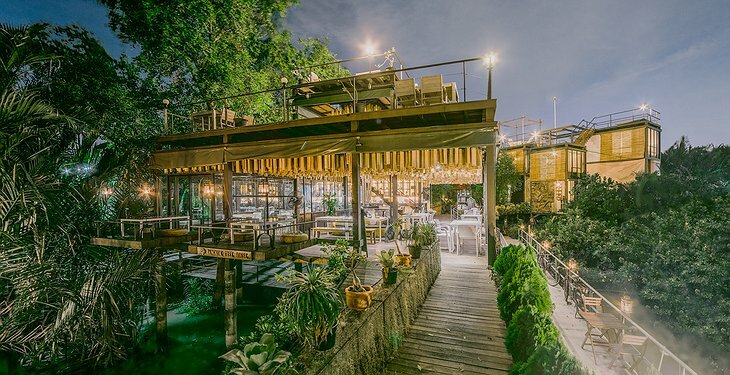 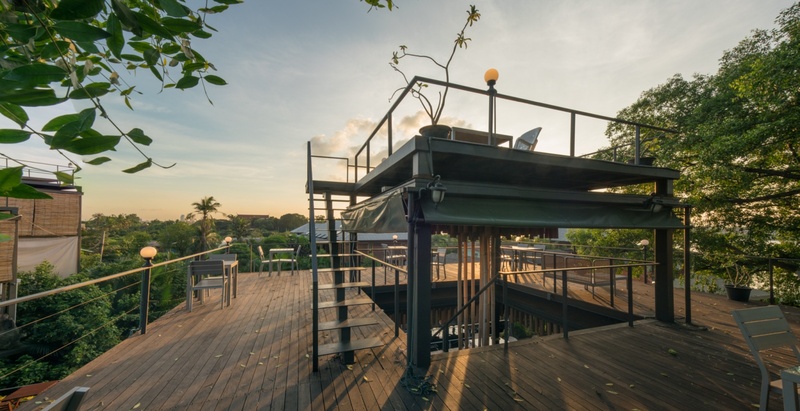 Although the Bangkok Tree House is only about a mile from the Bangna Skytrain station, you are sure to feel enveloped by natural beauty of the location. 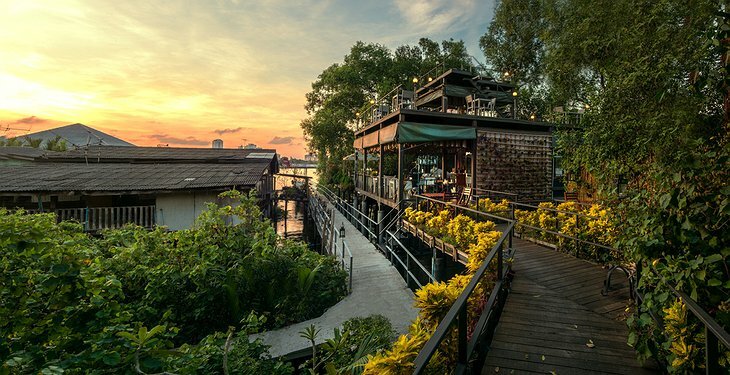 It allows the perfect escape from the chaos of Bangkok, yet still allows easy access to all the major attractions in the area.